The Boston Convention and Exhibition Center (BCEC) is the largest exhibition center in the Northeast United States. BCM Controls kept pace with the changing scope during the 18-month bid process to win the project over intense competition. As the Security Contractor, BCM provided an integrated CCTV, access control, and alarm monitoring system for the 2.1 million sq. ft. convention center. Integration was the key element on this high-profile project, utilizing a variety of communication networks. Events and Alarms are tracked through an Andover Controls Continuum front end that reacts in a programmed manner to deploy messages and camera call-ups to workstations and monitors throughout the building. To the credit of all the crews on site, BCM completed the project on budget and on schedule. • Event investigation and reporting; and push video upon an event. To select a new surveillance system, the BCEC formed an evaluation team consisting of Public Safety Department managers and Information Technology Department managers in the network and database fields. With the assistance of BCM Controls, the team evaluated several technologies considering usability, functionality, and network compatibility. Budget was an important aspect in the evaluation, including initial costs and the potential for future expansion. To answer all the challenges of this project, the team sought an open architecture platform with the ability to integrate with other systems such as fire and alarm. Through a 30-day on-site demonstration and product review, BCM Controls showcased the ability to produce the ideal solution while addressing budgetary concerns. The BCEC estimates that the system has saved approximately 40 to 60 percent per new camera installation by eliminating the extensive “home run” wiring required by analog cameras. 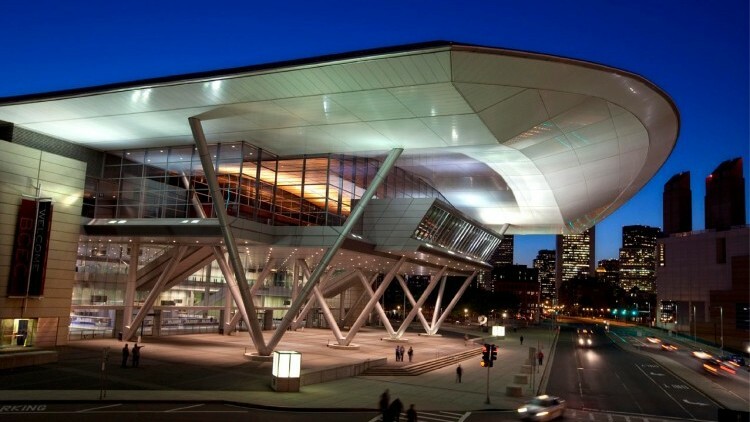 The IP video management and control software system provided by BCM Controls has been integral to the security and public safety solution at the Boston Convention and Exhibition Center.